I watched "The Young Lions" on TCM last night! 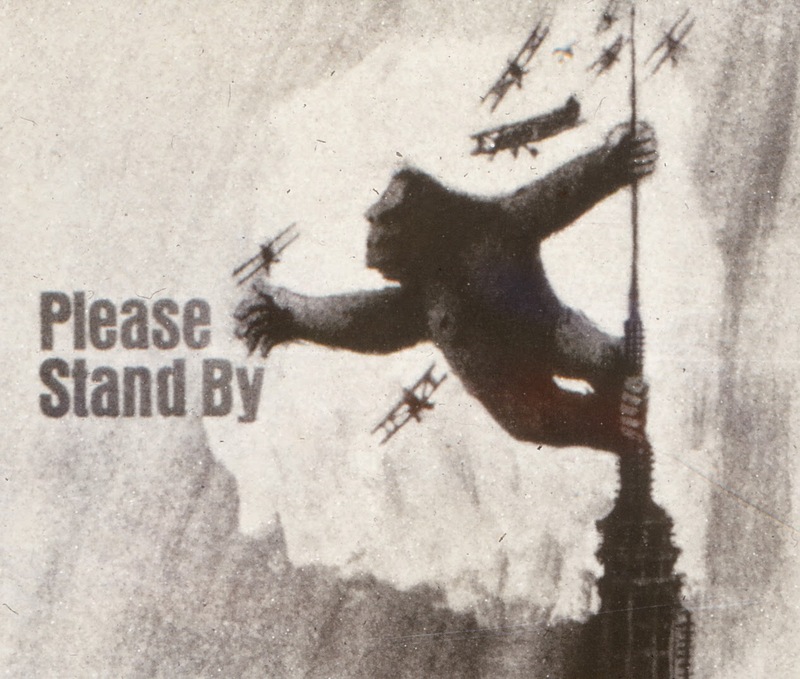 I saw this movie when it first came out over fifty years ago while I was stationed at Ft. Chaffee. Parley Baer later told me that he was in France for six weeks making this movie and the cast and crew were shuttled back and forth from a Hotel in downtown Paris to the various locations for filming. 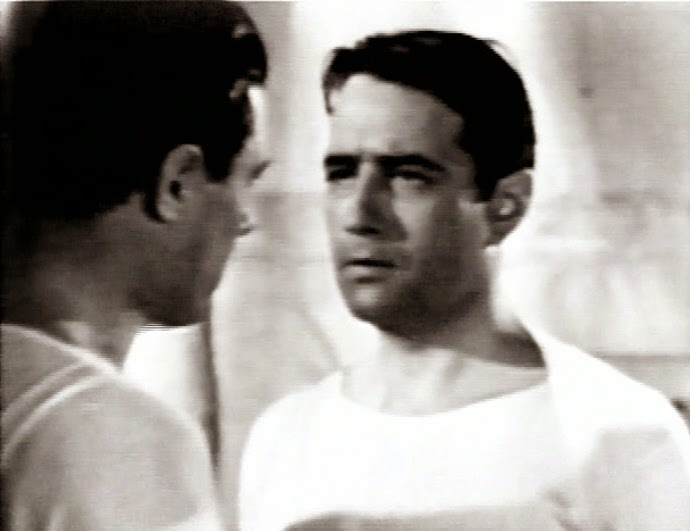 He said there was a young French actress in the cast, returning home after working several years in the States and one morning in the dining room during breakfast, she jumped up excitedly to greet some friends and bumping into a waiter, dumped a container of scalding hot water into Marlon Brando's lap. 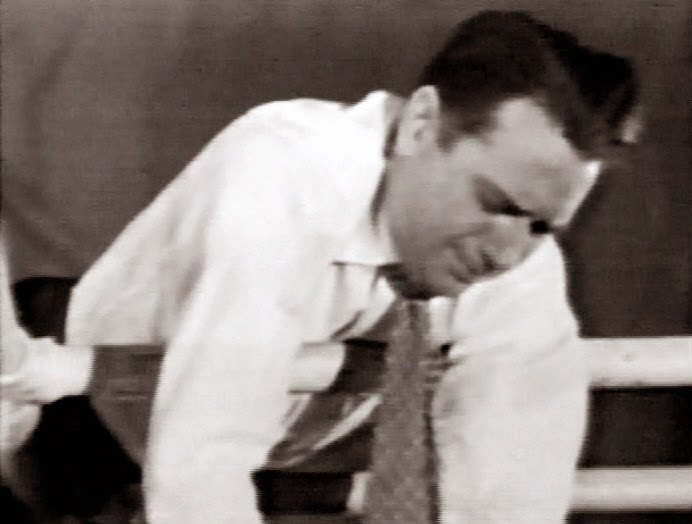 Brando immediately leaped up, jerked down his trousers, grabbed a bottle of seltzer water and started yelling and spraying his crotch through his shorts.....to delight of the numerous hotel guests. Parley said Dean Martin leaned over and said, "Let's all act like we don't know him!" He added that one morning they heard horrible screams coming from somewhere upstairs and after a few concerned words the Director calmly said, ".....no doubt Mr. Van Cleef attempting to urinate! Ole Whitey and others have discussed a time in the late 1950s when Central Show Print of Mason City Iowa sold original 1920s lithos from the Christy Bros Circus to collectors for just a few dollars. These were authentic lithographs originally printed by Riverside in Milwaukee and far superior to the artwork that Central Show Print was known for producing. Over the years collectors have discussed how Central might have obtained this cache of posters, and this photo may be a provide some answers, though it certainly raises additional questions.. 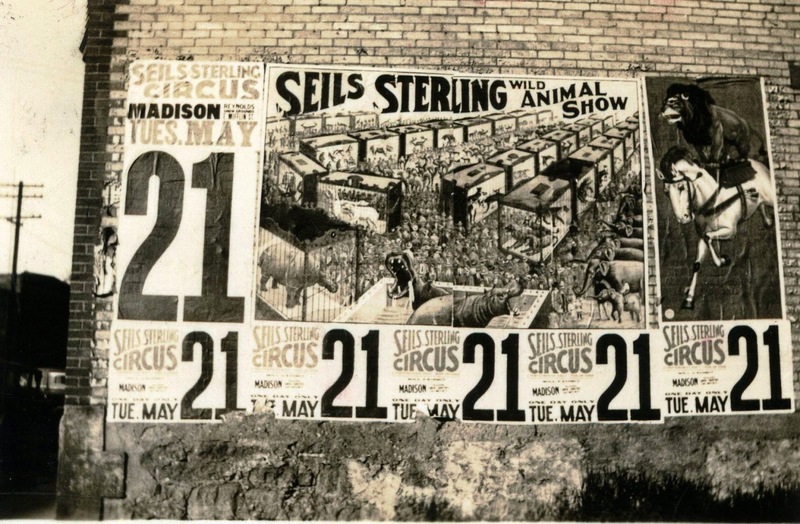 Most of the posters used by Seils-Sterling during the 1930s were offset, printed by Central Show Print and without the rich artwork and lithography associated with many circus posters of the early 20th Century (see #4 below).. But that wasn't true in every case, and this daub promoting an appearance in Madison, Wisconsin in the spring of 1935 is an example of Seils-Sterling posting some very nice wall work, lithographs most likely shipped to the bill car from Central Show Print along with the less-than-stellar one-sheets which were posted in windows.. 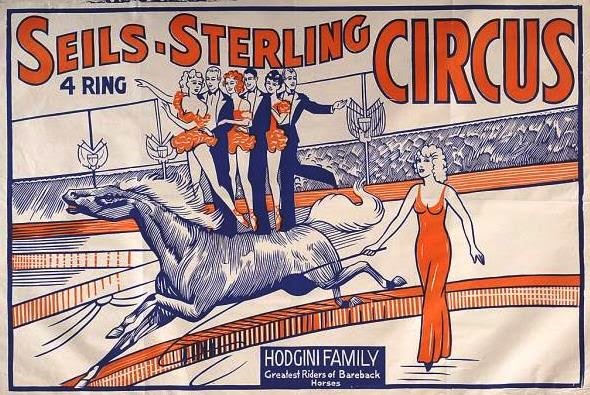 If you look at this daub for a date in early 1935 you will see that while the name of the circus on this nine-sheet menagerie bill is Seils-Sterling, the artwork is identical that used by Christy some ten years earlier (see #2 below). The four-sheet of the lion on the horse is also the same as the Christy/Riverside artwork seen below (#3), only the title sheet is missing. 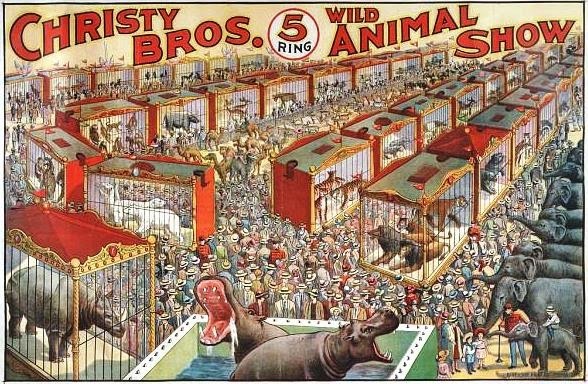 This is the Christy Bros Menagerie one-sheet which was sold to collectors by Central Show Print of Mason City, Iowa decades after it was originally printed by the Riverside Printing Company of Milwaukee Wisconsin. Note that it is identical to the Seils Sterling nine sheet seen above. When Riverside closed its doors at the start of the Great Depression, was the remaining stock purchased by Central Show Print? Was those one-sheets shipped to Mason City Iowa with much larger posters - some of which were reworked and used by Seils-Sterling? While the Christy title has been cut from what was once a four-sheet litho on the Madison daub seen above, it is clearly the same artwork that was originally produced by Riverside for Christy Bros. some ten years before. This one sheet was printed for Seils-Sterling about the same time that the rehashed Christy wall work was posted in Madison Wisconsin in the spring of 1937. This poster is more indicative of the quality (or lack thereof) of the artwork which came from Central Show Print during that period. 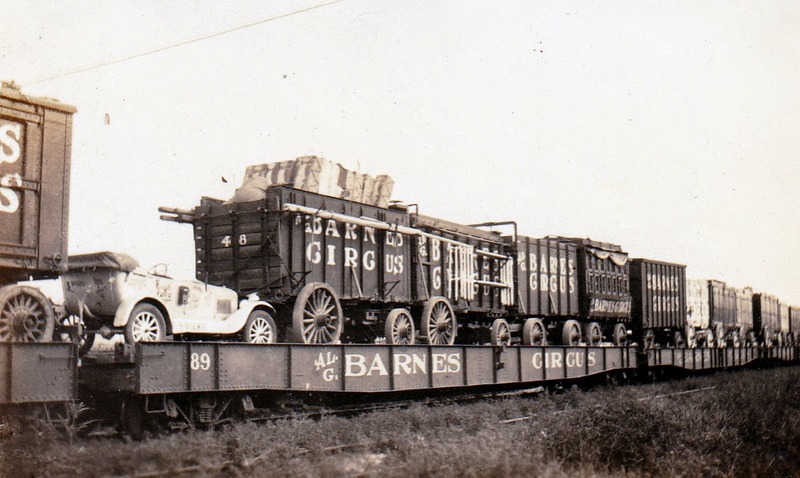 We may never know for certain, but it appears that the leftover stock from Riverside, especially the Christy paper, was moved from Milwaukee to Mason City, Iowa at some point with some of the old stock being reworked and used by Seils-Sterling, and the remainder sold to circus fans and collectors years 20 years later. Many of those posters remain in collections today, a great example of fine poster lithography for a title that is now only remembered by those of us who read circus history, and of course Buckles' Blog! 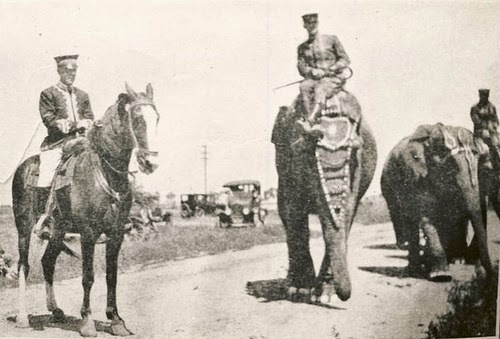 "I once showed this picture to Hugo Schmitt and he said his name was Philadelphia and if I recall correctly, was still around the Hagenbeck Zoo when Hugo was an apprentice." 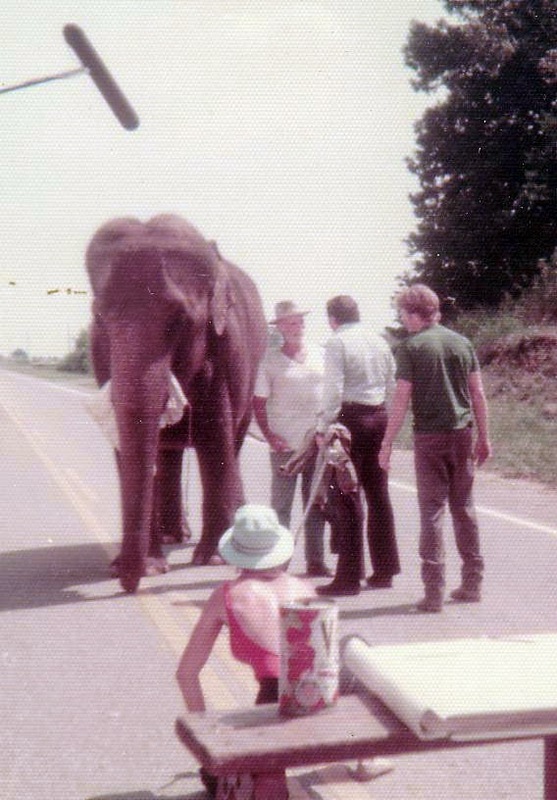 "This date might be in error, the youngster in the background would be "Daisy" the elephant I later knew with the "black-jack" tail." This looks more like the 1908 herd as leased from their cousins the Ringlings. Taken in Peru in the 1930's, Mr. Stiles third from right. 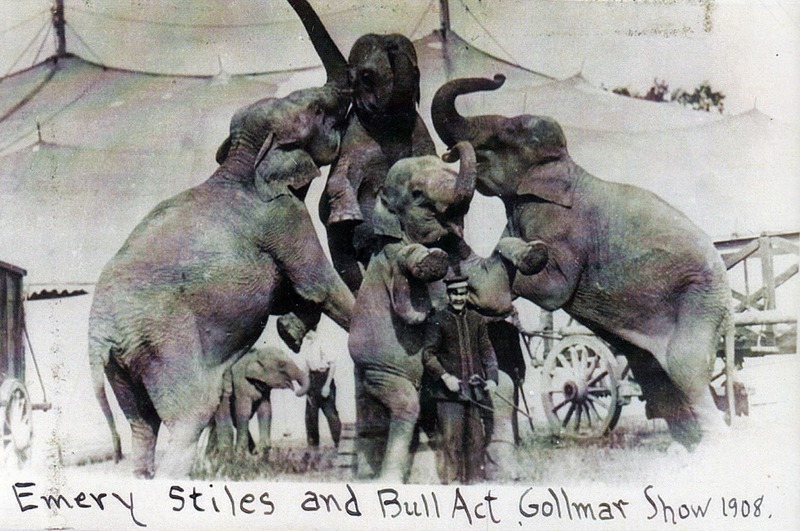 "I was with the S-F elephants for three seasons and of course closely associated with the boss animal man Emery Stiles who started in show business in the 1870's but Emery was not much of a talker and I was never very successful in drawing him out. 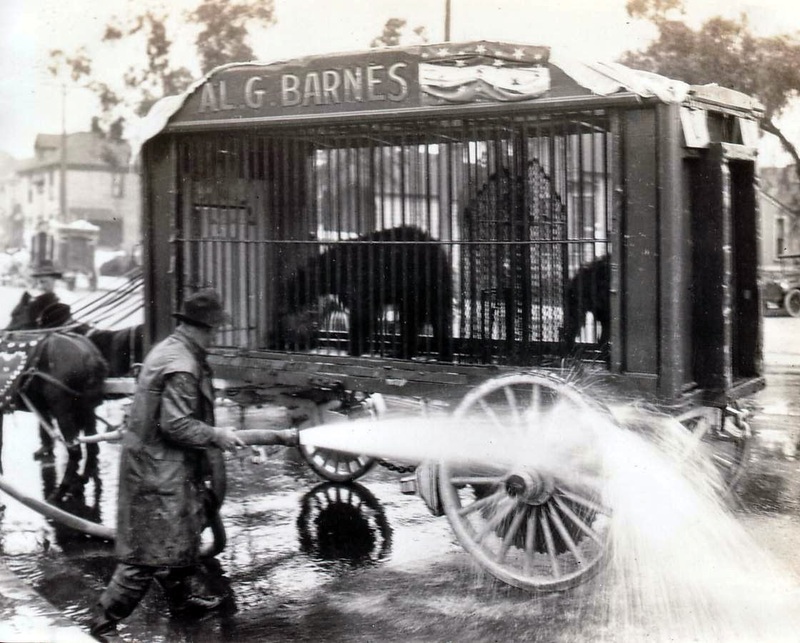 On the contrary when I worked for Bert Noyes on the H-W Show, I found that he liked nothing better than to get an audience of punks, such as I was at the time, and relate many heroic and thrilling experiences incurred with Wallace & Anderson, Gollmar Bros. wagon show, etc. Incidentally good old Bert never failed to give himself the best of it in these tales." Attached is a scan of a slide that I’ve had for almost 43 years. (When I used to do slide shows as part of my Navy duties, this would come in handy if there was an equipment malfunction or some other SNAFU.) I recently found it while sorting through some of my old Navy slides and thought that you might like to have a copy on hand too, for those VERY RARE occasions when your computer and/or Google acts up, impacting the Blog’s daily appearance. 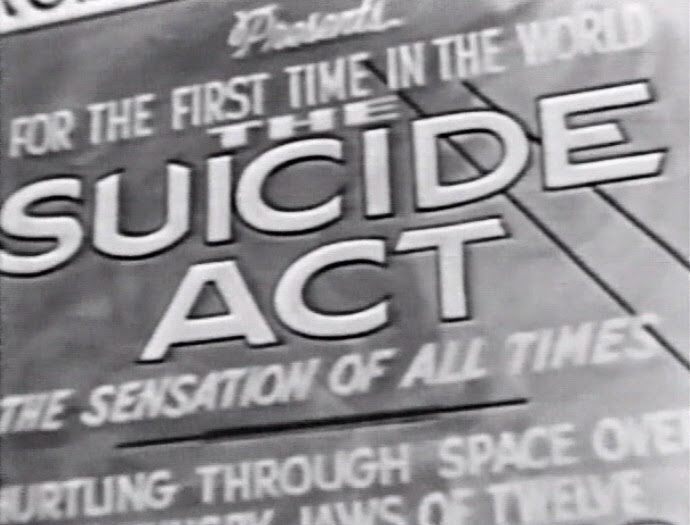 Billed as “The Suicide Act,” everyone is enthusiastic about it accept Kay. 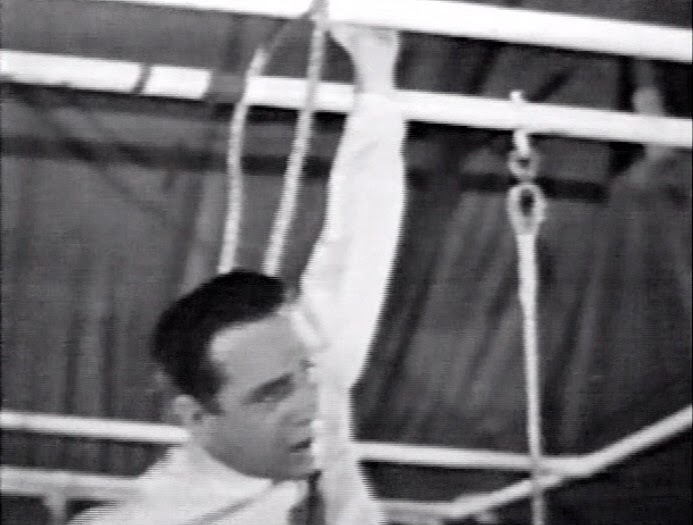 Before the new act’s first public presentation, and while allegedly giving the rigging a final inspection, Charlie partially slices through one of the ropes on the trapeze that Bob will use for his final trick over the lions’ den. 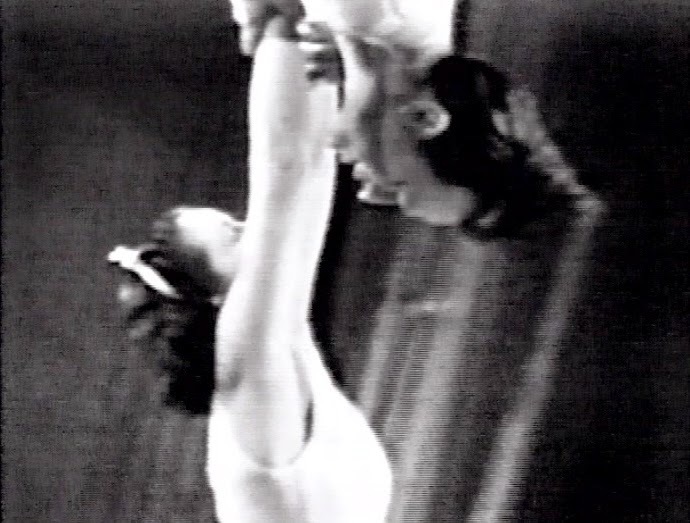 That night, as Bob begins his final trick, Kay watches with growing apprehension. Down on the ground, Charlie also watches intently as Bob beings his final trick. 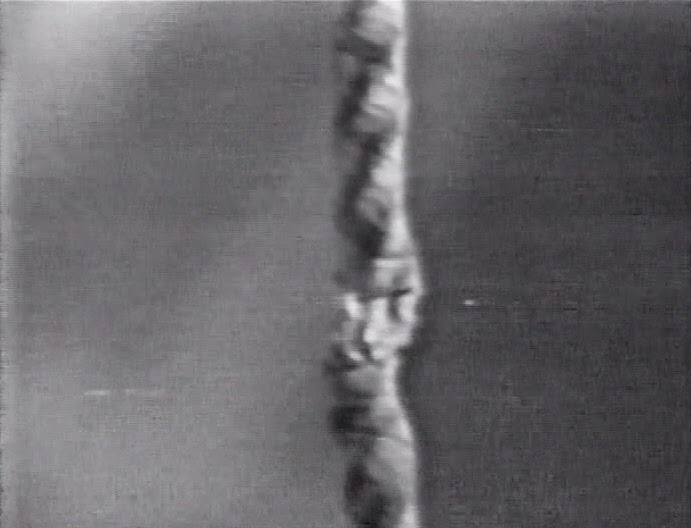 The sabotaged rope begins to unravel and then parts. 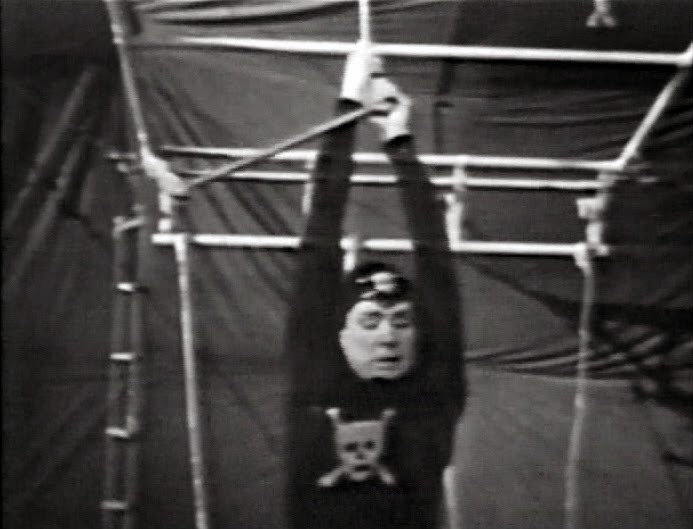 Fortunately Bob is able to keep a grip on the trapeze bar but is left dangling over the steel arena . . .
. . . that is now filled with lions waiting for him to fall. Seeing Bob’s valiant attempts to save himself, Charlie has a change of heart. 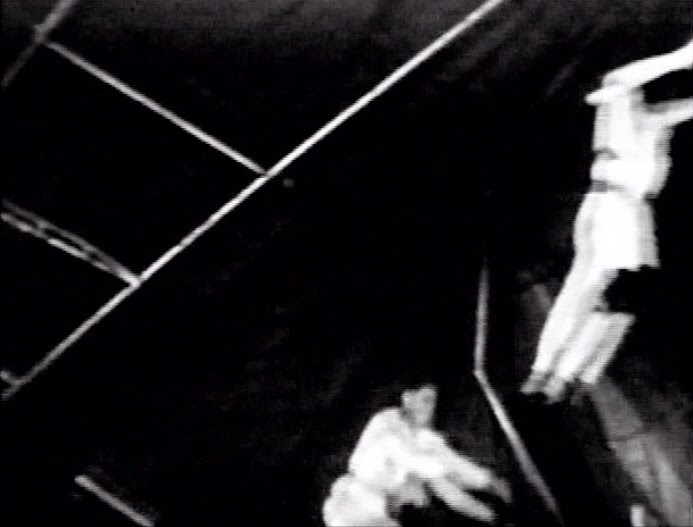 Climbing up into the rigging, he throws Bob a rope . . .
. . . and pulls him up so that he can catch a trapeze that Kay swings over to him. 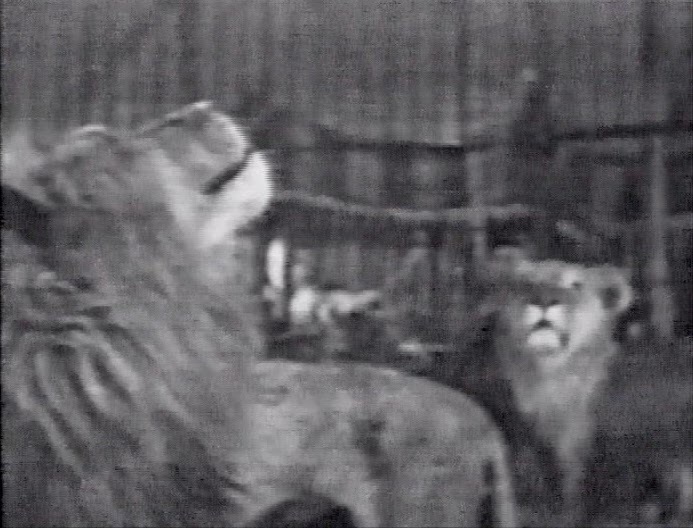 Just as Bob reaches the safety of the opposite platform, Charlie loses his balance and ends up dangling over the lions’ den, holding on with just one arm – his bad one. 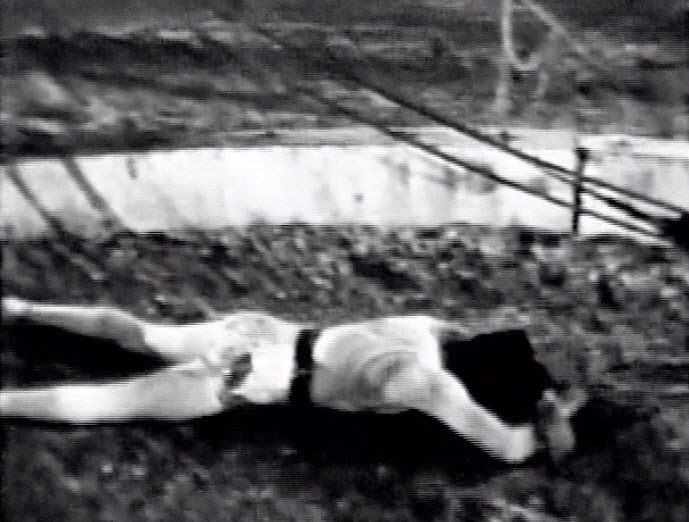 The bad arm eventually gives out . . .
. . . and Charlie plunges to a hero’s death in the big cage. 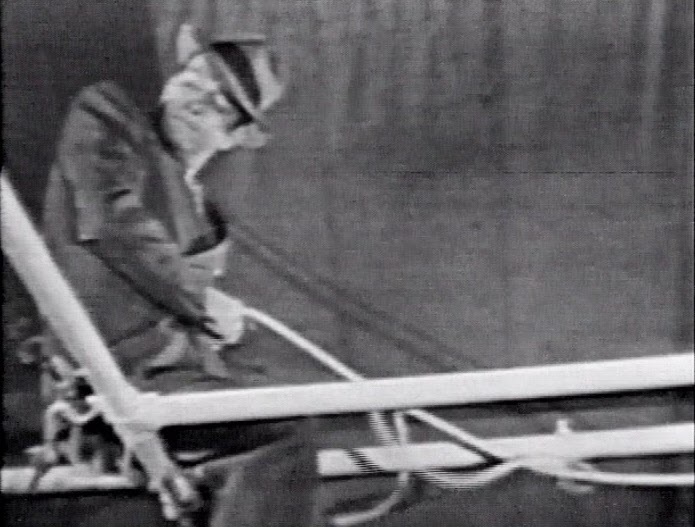 (It is doubtful if Bob and Kay ever suspected that he was the one responsible for the rope breaking.) 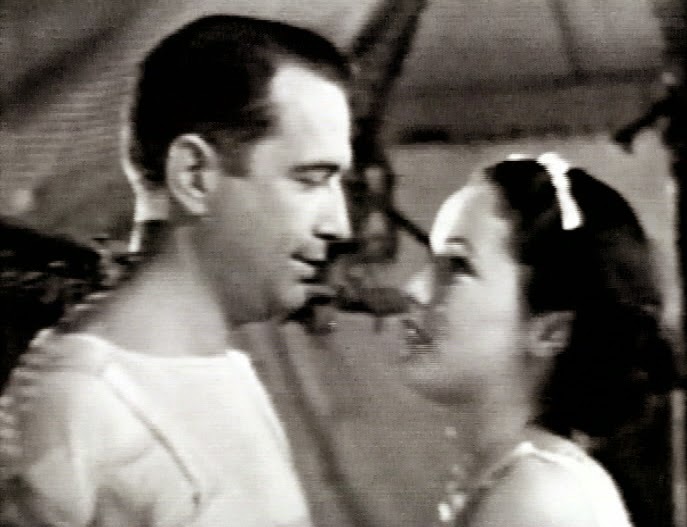 One addition scene shows Bob and Kay leaving on their honeymoon, which ends the film on a happy note. I wonder how many movies Keenan Wynn made in his career? I saw him in "Annie Get Your Gun" a few days ago and a dance movie last night. 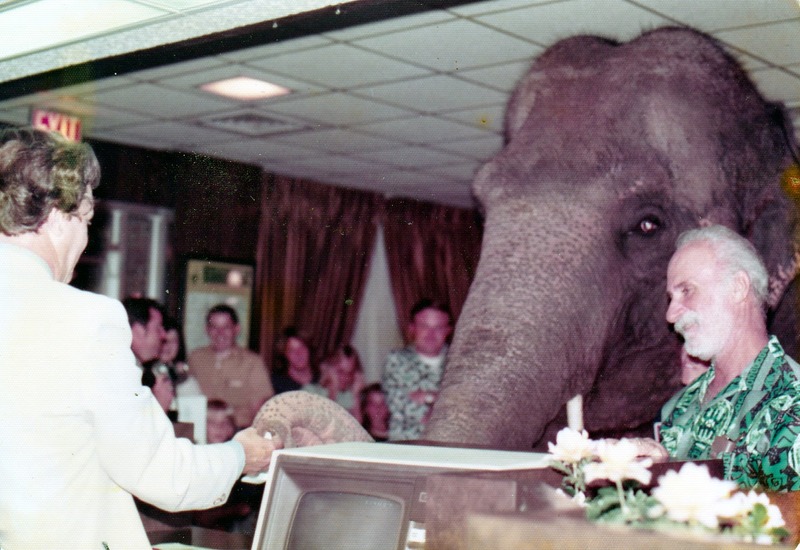 Here he is with "Anna May" checking into the motel on location in Charleston, NC. 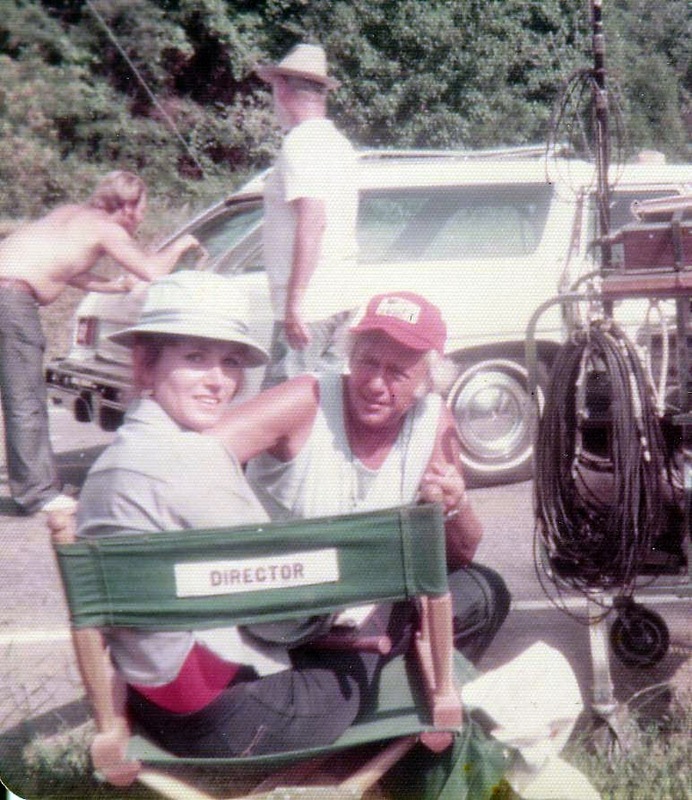 Barbara working "Anna May" off screen. 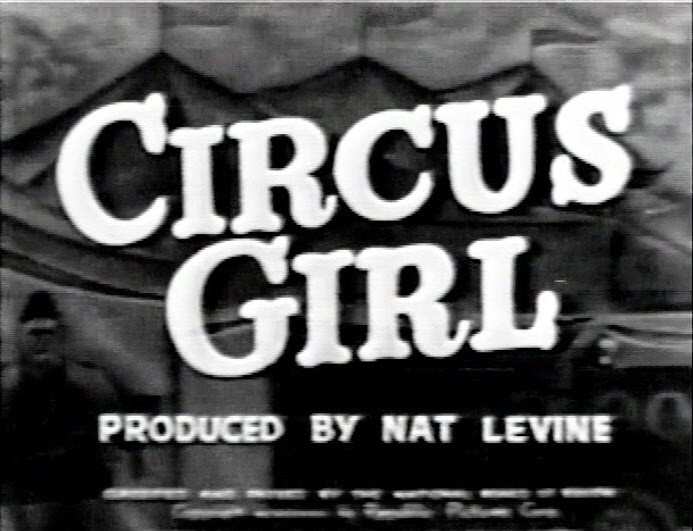 The star of the Roebling Circus (a railroad show) is Charlie Jerome (Donald Cook) a daring trapeze artist who works without a net and who has a reputation for being a ladies man. 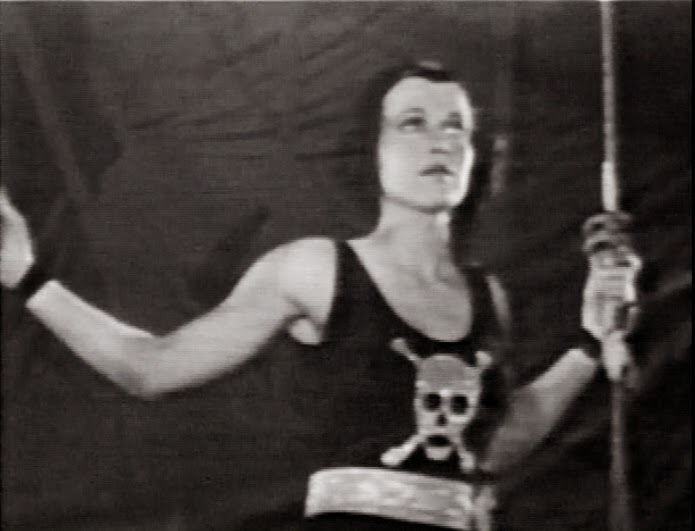 Charlie’s current love interest is a young aerialist named Kay Rogers (June Travis). 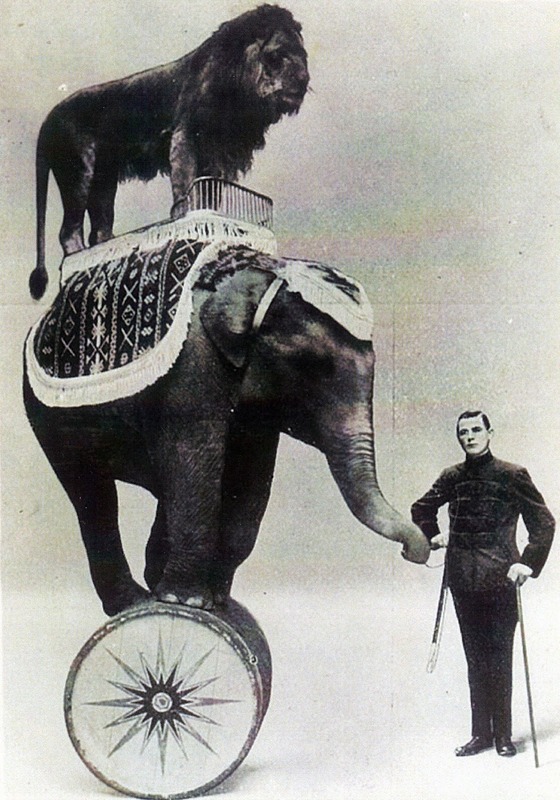 Charlie is also involved with Carlotta, a rather hard-boiled blond who is the show’s tiger trainer. 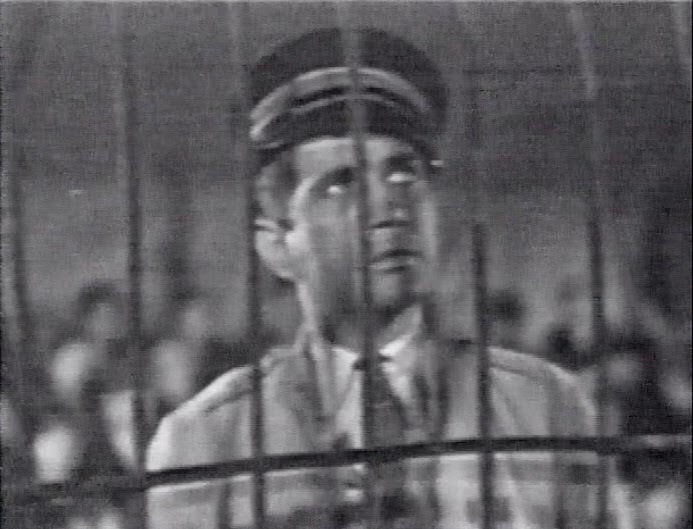 Just before the flying act is to go on, Charlie is confronted by his catcher Bob McAvoy (cowboy star Robert Livingston.) Bob, who is also in love with Kay, has just learned that she and Charlie have been secretly married. Aware of Charlie’s involvement with Carlotta, Bob warns him not to be “stepping out” on Kay. Charlie responds by knocking Bob down, giving him a bad gash just below his eye. 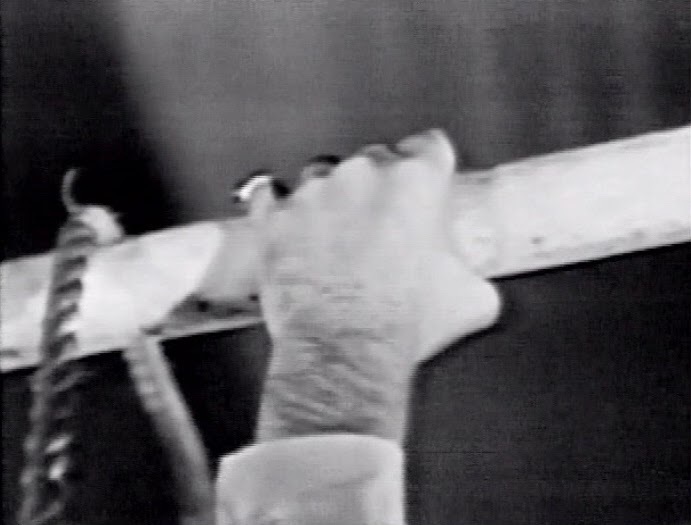 As Charlie prepares to execute his final trick, the gash on Bob cheek opens up and blood streams into his eye, temporarily blinding him. 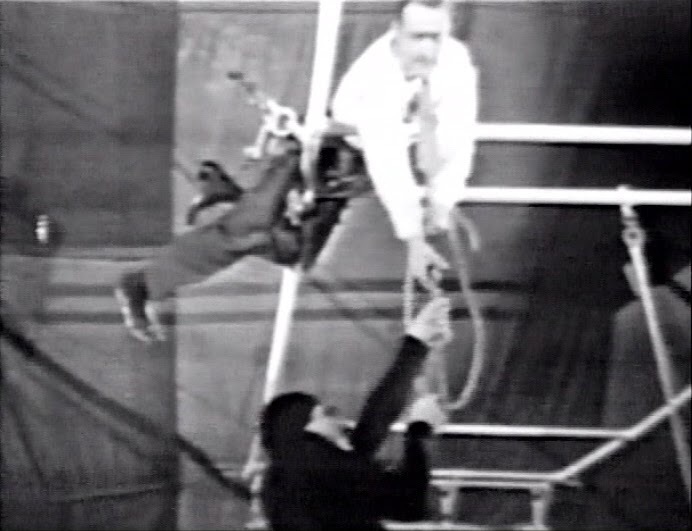 Bob fails to catch Charlie, who falls without a net to save him. 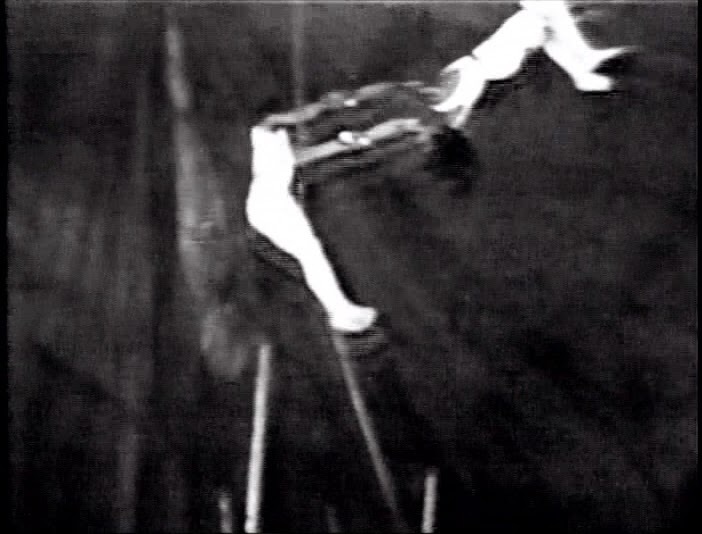 Although Charlie survives the fall, the doctors tell him that the damage done to his shoulder and arm is permanent, and that he will never fly again. Hearing of the accident, Carlotta rushes to the hospital, where she learns that Charlie and Kay are married. 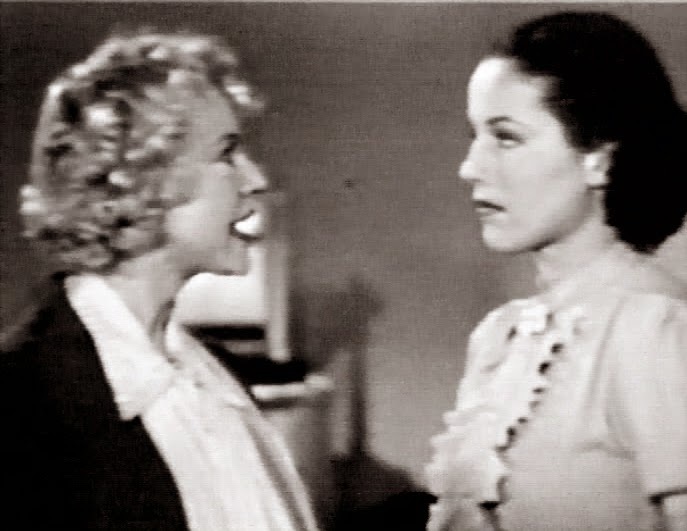 In an angry outburst, she reveals to Kay something of Charlie’s womanizing past.